Alex Grigsby is the assistant director for the Digital and Cyberspace Policy program at the Council on Foreign Relations. 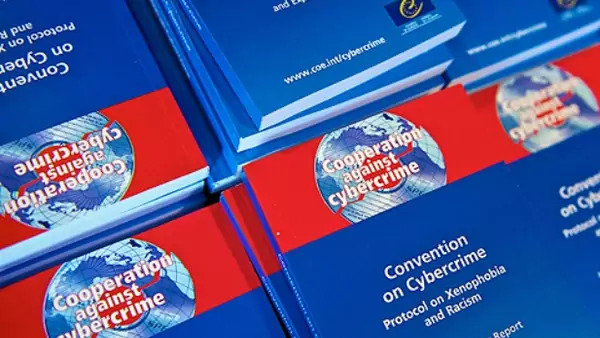 Earlier this week, Canada’s parliament passed legislation that would allow it to finally ratify the Council of Europe’s Convention on Cybercrime, more commonly as the Budapest Convention. The Budapest Convention is the only legal instrument specifically designed to facilitate international cooperation to fight cyber crime. It provides: (1) common definitions and criminal prohibitions, (2) unified procedures and rules to ensure the preservation of evidence, and (3) a streamlined legal process to facilitate international cooperation, more formally known as mutual legal assistance, on cyber crime investigations. Canada was one of the countries that originally negotiated the treaty in the late 1990s and was one of the original signatories in 2001. Despite being one of its earliest promoters, it took over thirteen years for Canadian legislators to pass the necessary domestic legislative changes to allow Canada to ratify the treaty. The delay can be attributed to packaging the legislation with controversial lawful interception provisions and successive minority governments throughout the 2000s. The lag put Canada in a tough spot in international venues when working with the United States and European partners to repel BRIC-efforts to launch a negotiation of a new cyber crime treaty under UN auspices, something that could take another decade to negotiate. For Canada, it became hard to argue that a new treaty is premature when it had not ratified the existing one. Russia has long argued that the Budapest Convention is fatally flawed, arguing that particular provision violates state sovereignty, a claim that has been recently debunked by the committee that oversees the treaty. Brazil, China and India argue, in short, that a treaty negotiated by Europe is inherently inapplicable to non-European countries, despite the fact that non-European countries are party to the convention and that whole swaths of international law—still valid today—stem from negotiations amongst Europeans. No word yet as to when Canada will officially ratify the Convention. When it does and unless another country beats it to the punch, Canada will be the seventh non-European country to do so, joining Australia, the Dominican Republic, Japan, Mauritius, Panama, and the United States.